The average citizen has now heard (multiple times) the story of people with psychiatric diagnoses who are slipping through the state’s cracks, how their families are desperate but lack resources, and how the mental health system is failing us all. Yet there are two related stories that are hardly getting told: one good, and the other very, very bad. • Patients of the mental health system are dying, on average, 25 years younger than the rest of us, according to the National Association of State Mental Health Program Directors. • The highest suicide risk directly follows forced hospitalization. 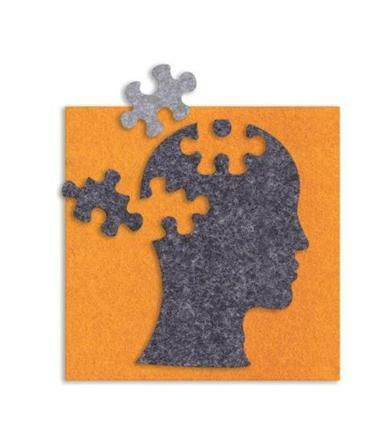 • Unlike with diseases such as diabetes, outcomes for psychiatric diagnoses have not improved. • Long-term use of psychiatric drugs appears to beckon worse outcomes for many, and even short-term use potentially increases the risk of violence. In other words, what we’re doing is not working. And isn’t there an old adage about “insanity” being defined as doing the same thing repeatedly and expecting different results? If members of the public are to rail against something, perhaps it ought to be that they’re regularly not given all the facts, or that the stories they do hear are often manipulated by special interests that have more to do with systems and money than with human lives. Then there’s all the good that’s being left out. Yet that doesn’t negate all the positives taking shape. For example, we have seen more Hearing Voices and Open Dialogue training than anywhere else in the country, and the Commonwealth is leading our nation on related research as well. Meanwhile, one of the country’s only initiatives to implement Open Dialogue concepts is based in Framingham, and several of the foremost leaders on both topics are local. Additionally, the Alternatives to Suicide approach was developed in state by a group of people who have “been there” themselves. Many people’s lives have been changed, and (some would say) even saved as a result of these innovative efforts that differ so substantially from conventional methods in the way they regard why someone may be struggling, how they might make meaning of the experience, and what supports will maximize potential for healing. But if something good happens and there are not enough people around to see or hear it, does it still count? Unfortunately, the harsh reality is that it may not count enough to remain funded if these stories — both the good and the bad — don’t find their way into the public eye at some point. When push comes to shove, people won’t argue for or against what they simply don’t know to exist. The Hearing Voices Movement, developed collaboratively by a psychiatrist, professor, and voice hearer, supports people to talk about voices and other unusual experiences and does not assume the goal is to eliminate them, often instead seeking to make meaning of and integrate them into a full life. Open Dialogue regards problems as lying in the space between people rather than necessarily in disease. This approach employs extensive meetings outside clinical environments, involves social networks, and minimizes use of psychiatric drugs. It has the highest documented recovery rates in the world. Alternatives to Suicide acknowledges many reasons that would lead someone to contemplate death and encourages people to openly explore what they mean when they say they want to kill themselves, without threat of forced hospitalization. What we’re doing for people with psychiatric diagnoses isn’t working. Recovery Learning Communitiesoffer support that is facilitated by people who have similarly struggled, as well as the opportunity to both give and take as a part of a community. There is no cost, referral requirement, or other red tape involved. Peer Respites are nonclinical, home-like alternatives to hospitalization, where someone can stay for several days while being supported through a crisis by others who have had related experiences. Prevention and Recovery Early Psychosisprograms are available in Boston and Holyoke. They emphasize early intervention without assuming that disruptions are lifelong, given the proper support to move through them. They also minimize psychiatric drugs, particularly in the long term. Sera Davidow is the Director of the Western Massachusetts Recovery Learning Community, a filmmaker, and a regular blogger at Mad in America.